At Leading Edge Music, we LOVE vinyl records! Through our network of independent music stores, Leading Edge Music has been quietly supplying Australia's vinyl needs for the last 15 years, and we are proud to count the absolute best of vinyl record stores as our members. With the likes of stores like Rocking Horse and Red Eye Records, Leading Edge Music members has your vinyl needs covered. 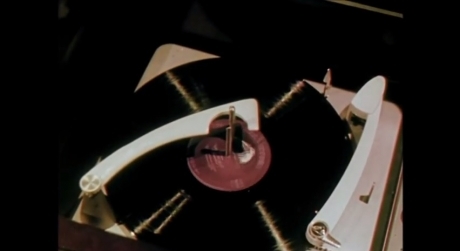 A vinyl gramophone or phonograph record consists of a disc of polyvinyl chloride plastic, engraved on both sides with a single concentric spiral groove in which a sapphire or diamond needle, stylus, is intended to run, from the outside edge towards the centre. (It should be noted that on a very small number of albums, like "Goodbye Blue and White" by Less Than Jake, a hidden track, or the entire side, will be played from the centre out). Vinyl has long been preferred as the medium of choice of audiophiles. Despite almost going the way of the DoDo bird, vinyl has actually rebounded in popularity in the last 5 years, particularly amongst Gen Y and Z music fans. The classic vinyl sound, larger artwork and "collectibility" of the records make it a very attractive prospect for music fans. And of course, there were always record collectors who disliked the compact disc (CD) format, arguing that an LP’s grooves yielded warmth and depth that the CD’s digital code could not match. The LP (Long Play Vinyl Record) still represents just a small amount of total music sales. However, according to Nielsen SoundScan data, while CD sales fell by more than 5%, vinyl record sales grew more than 36%.To give you an idea of how big the vinyl resurgence is, when French electronica duo Daft Punk released “Random Access Memories” in mid-May, 6 percent of its first-week sales — 19,000 out of 339,000 — were on vinyl, according to Nielsen SoundScan. Alt rock, garage and punk albums are also leading the charge of the vinyl brigade. For several years running, the Beatles' "Abbey Road" (1969) has been the top-selling vinyl LP.